Home Columns El Paseo Goes Pink to Support Cancer Awareness on October 13th! El Paseo Goes Pink to Support Cancer Awareness on October 13th! 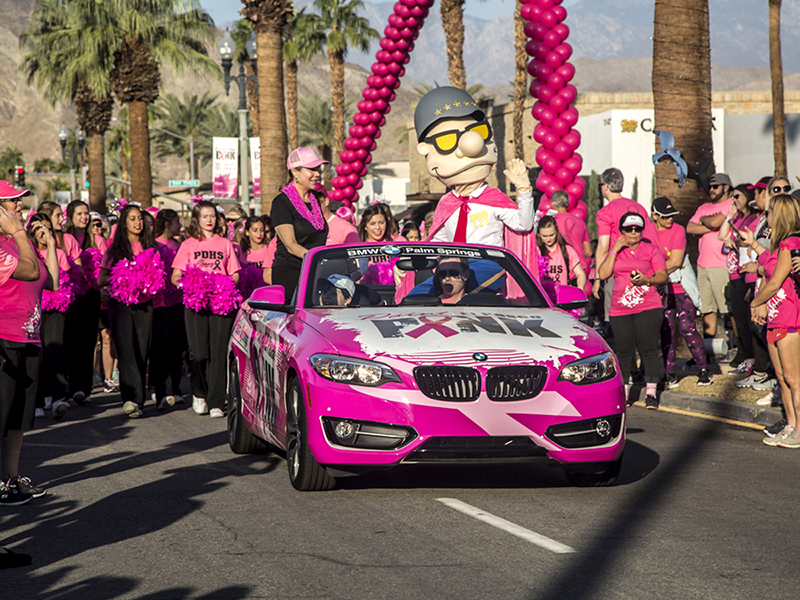 Registration Now Open for Desert Cancer Foundation’s 12th Annual Paint El Paseo Pink Fun Walk! Desert Cancer Foundation has announced online registration for the 12th Annual Paint El Paseo Pink Walk for Breast Cancer Awareness, taking place on Saturday, October 13, 2018. The streets along the famous El Paseo Shopping District will be closed to vehicles to accommodate the celebration happening from 7 am to 10:30 am. 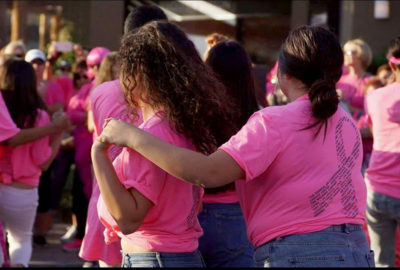 With over 1,500 attendees and growing each year, Paint El Paseo Pink kicks off the season with an event that is fun for everyone, including furry, four-legged friends! The walk begins at The Gardens on El Paseo, and then heads out onto El Paseo for a rousing, energetic lap of approximately 2 miles roundtrip. Registration for individuals and teams is now available online, and the entry fee of only $25 per person includes a stylish pink commemorative t-shirt (while sizes and supplies last). All proceeds directly benefit Desert Cancer Foundation’s mission to provide financial assistance for screening, diagnosis and treatment for cancer and allied diseases for local residents of the Coachella Valley and surrounding communities. 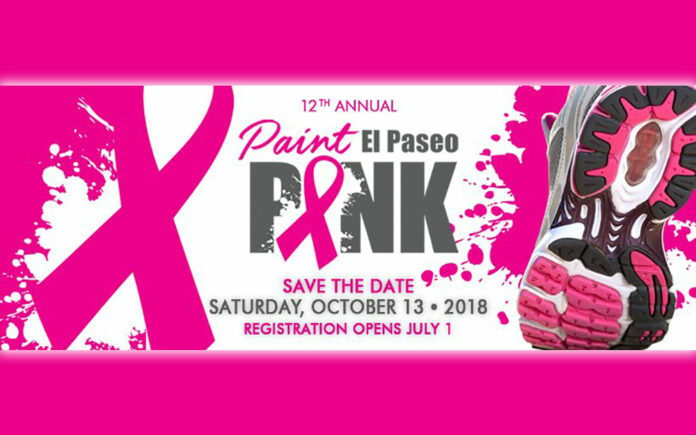 On Saturday, October 13th, Paint El Paseo Pink starts at 7 am with final on-site registration at The Gardens on El Paseo, exciting booths to explore, fun photo opportunities, an inspirational opening ceremony, and the official lead-off for the Walk starting at 8 am. There will be live radio remotes with The Eagle 106.9, U-92.7 and Mix 100.5, plus a variety of fun stopping points hosted by various El Paseo merchants and event sponsors along the route. Everyone is encouraged to wear pink to show their support for breast cancer awareness, to celebrate and honor cancer survivors, including those currently in the midst of their cancer battle, and remember those whose journey was cut short by cancer. Join us as we “Paint El Paseo Pink” on October 13th. Registration for the 12th Annual Paint El Paseo Pink on October 13th is online at www.pepp.desertcancerfoundation.org. For information about event sponsorship opportunities and other ways to get involved, contact Desert Cancer Foundation at 760-773-6554 or visit the website.